The sea is subject to the transport of enormous masses of water moving continuously in one set direction. These large ‘rivers’ of water in the sea are ocean currents so important to the navigation of ships, the climatic conditions of continents and the fisheries of the maritime countries. The current systems of the sea may be grouped into (a) those produced by the influences of the moon and the sun, known as tidal currents and (b) all the other circulatory movements in the sea , called non-tidal currents. In each ocean, these water masses, moving ceaselessly, in their set direction, have been given names and have been the basis of study by oceanographers for years. 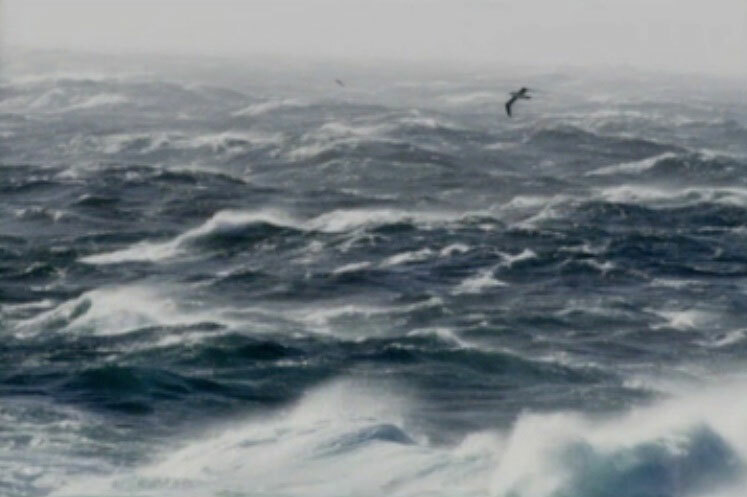 In the southern ocean, the great Benguela Current has its birth. It is composed of cold Atlantic water and at the eastern side of the gyral, it flows sluggishly along the west coast of Southern Africa. The slow temperature and salinity are characteristics of this current when close to the coastline. The rotation of the earth causes the Benguela Current to take surface waters away from the coastal region and these waters are then replaced by upwelling waters from the depths. This upwelling plays an enormous role in the fisheries of a region as this area of the sea is then provided with rich nutrient salts on which rich plankton subsist. Computed data has proved that the concentration of plankton in the West Coast of Southern Africa area ranks amongst the richest in the world. The Benguela Current is very closely connected with the circulation of air over the South Atlantic ocean, an area of permanent high pressure. The prevailing winds are south and south-west and as they blow from the sea, they are moisture laden and therefore one would expect a normal rainfall. However, when this moisture-laden air meets the cold waters of the Benguela Current , it condenses to fog and on reaching the warmer desert air, the moisture is dissipated into clouds which drift inland. Benguela Current influence on Rock Lobster. An important feature of the Benguela Current is its role it plays in the rock lobster (crayfish) fishery which extends from Cape Point to the north of Luderitz, South West Africa and it is confined close to the coast in waters down to twenty fathoms. After the eggs of the rock lobster are hatched, larvae are release into the water. The larvae slowly metamorphose through various stages to form rock lobster which sink to the bottom. Prior to the stage the larvae float on the surface of the sea and are transported by the currents to their birth places. Owing to the inshore-set, they are not carried away into the main body of water constituting the Benguela Current. Had this happened there would have been very few replacements of rock lobster stocks in the form of juveniles to maintain the resource. They would mostly have been carried away from the South African and South West African coast in the gyral of the Benguela Current, with the result that a rock lobster fishery in those waters would not have existed. To quote Captain Jacques Cousteau … “The sea is a silent jungle”.